Adapted from best-selling children’s author Jacqueline Wilson’s novel, the tale of plucky Hetty Feather is brought to life on stage by Emma Reeves, the award-winning scriptwriter of BBC TV’s hit Wilson adaptation The Story of Tracy Beaker, and Olivier-nominated director Sally Cookson, whose critically acclaimed production of Jane Eyre seen at the Bristol Old Vic will be revived at The National Theatre this Autumn. Featuring a musical score by Benji Bowe, thrilling aerial and circus skills and a huge heart Hetty Feather is the must see show for this summer. Following its sell out 2014 run in London’s West End and a 2015 Olivier Award nomination for Best Family and Entertainmen, Hetty Feather returns to the West End for a smashing summer season for 40 performances. Hetty Feather was abandoned as a newborn baby and brought up by foster parents. But now she’s six she has to return to the Foundling Hospital to start her education. You’ll TREMBLE as she faces Matron Stinking Bottomly; THRILL as she discovers the squirrel house and Tanglefields Travelling Circus; GASP as she endures a night locked in the attic; QUAKE as she braves the scary streets of Victorian London and CHEER as she overcomes all in the search to find her real mother and a true family of her own. 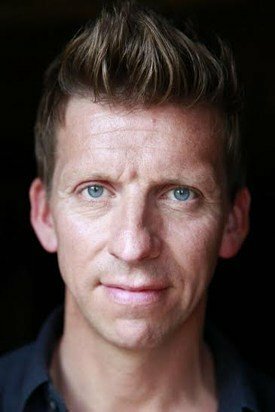 Mark Kane who plays the role of Gideon in Hetty Feather answered a few questions about the production. You have many stage and screen credits, what was it about Hetty Feather that made you want to be a part of the production? It was great to be asked this time around as I was meant to be in the production last year but unfortunately couldn’t. It was an easy choice because I have had the pleasure of working with Sally, Benji and Katie in the past. I love how Sally works and I hope I can add to this fantastic production. You play the role of Gideon. What can you tell us about him and how he fits into the storyline? Gideon is Hetty’s older foster brother but he acts younger, is quite shy, gentle, naive and less confident than Hetty. They are so close and care so much for each other. They have been together since babies and so he looks up to her, wishing deep down he was more confident like her. As an actor, does it differ playing a role for ‘all the family’, rather than a production with an adult target audience? I think playing to a family or adult audience is the same. My job is to tell a story and I don’t like people saying it’s a kid’s show or targeting theatre for children only. I have devised and performed in many family shows and to be honest they, for me, can be slightly harder. An adult audience can be very polite to something they find boring or slow but children will tell you straight away what they think: if they like it, if they are bored, hungry, don’t care or want to leave! I think that the best family shows if made correctly try to cater for all. Saying that it can be hard to get the right balance and for me there is no one better at achieving this that Sally Cookson. Hetty Feather is a book by best-selling author, Jacqueline Wilson. How does this stage production compare with the book? It’s always tricky to condense a book into a two hour play but I feel this production does a great job at covering all the best aspects in the book but still keeping the heart of the story and Hetty’s journey alive. What is at the heart of the story of ‘Hetty Feather’? It’s an irresistible story of looking for love and finding it in unexpected places. But it’s a family show that’s got adventure and romance and heartbreak and humour, and I think there’s something in it for everybody. Why should everyone get along to see Hetty Feather? People should come and see this fantastical piece of theatre because it caters for all ages and is a great day out for the whole family. It’s a lovely piece of storytelling with a fantastic ensemble using text, song, circus skills, movement, and humour. Meaning after you leave the theatre you will have felt lots of different emotions in such a short amount of time that hopefully you might want to go buy the book, read it again or come back and see us again!